As a child, Charles Winston watched as his parents cared for their guests at their family-owned restaurants. The passion for creating an excellent experience for each customer was ingrained from a young age, and he spent his early career immersed in the hospitality trade. Wil O’Neal was managing one of the Winston’s family restaurants, when Charles asked him to join in launching a new concept. The year was 1986. The two lifelong friends were in their early 20s and hungry for a new challenge. Winston’s Grille was born. Over the years, Winston’s has become a Raleigh landmark. Expansions and renovations have transformed Winston’s into Winston’s Grille—the elegantly casual, comfortable, and trusted local tradition it is today. We make everyday dining experiences special and turn special occasions into lasting memories by providing caring service and great food in a comfortable, elegant atmosphere. We are a second home. Winston’s creates a space where customers can connect and feel at home, yet escape from the everyday routine. A sense of comfort and belonging is balanced with a quality dining experience that transports customers into a refreshed state of mind. An accessible menu and our community, made up of loyal employees and longtime customers, create the warm, familial atmosphere that makes us unique. 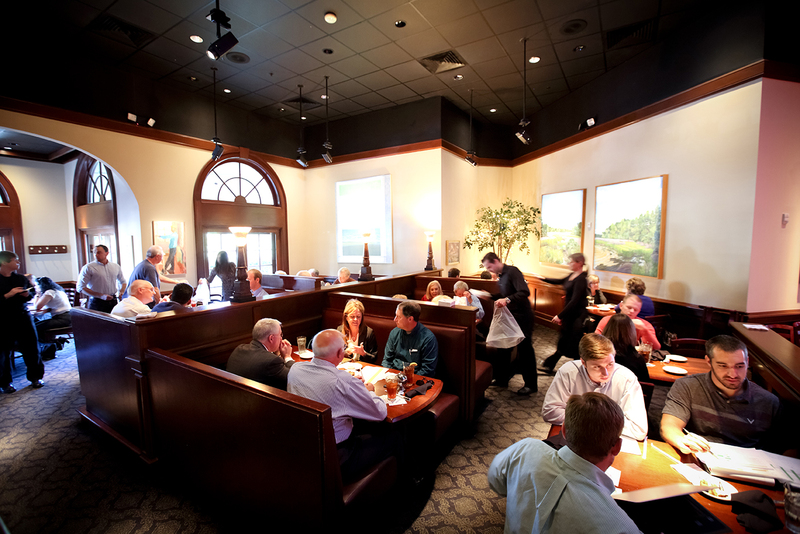 Our welcoming atmosphere and exemplary dining experiences echo Raleigh’s history of southern hospitality. The Winston’s experience is local and authentic, from our homemade sauces and hand-cut fries to our uniquely compassionate service, and our support of regional vendors. We’ll never forget our roots. Our confidence in the community we’ve created gives us the foundation to move into a changing future. We know the restaurant business. We know who we are. And that clarity will define where we’re going. The Winston’s team has a legacy of consistently caring for over 29 years, and is dedicated to ensuring quality dining experiences for all customers. There may be fancier or more expensive restaurants out there but I don’t think you’ll get better quality or appreciation than at Winston’s. During the week this is part of our kitchen.